Some of New York's most famous icons have inspired Oeuf designer Sophie Demenge to create a new mini-collection of hand-knit soft toys which are perfect for cuddling or perching in a nursery or bedroom. 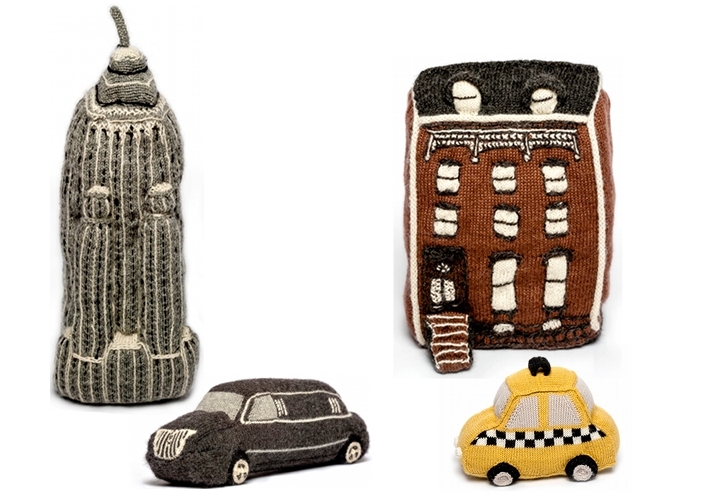 The four piece line includes a black limousine, a yellow taxi, a Brooklyn Brownstone, and the Empire State Building. All Oeuf knits are fair trade and made with 100% hypoallergenic baby alpaca wool in Bolivia, by a self-managed community of indigenous women. The mini New York Oeuf Collection is sold exclusively online and ranges in price from $68-$81. Whether you’re a New Yorker or a fan of the big city, Oeuf’s soft toys evoke feelings of fondness and nostalgia for what makes Manhattan undoubtedly one of the greatest places on earth. 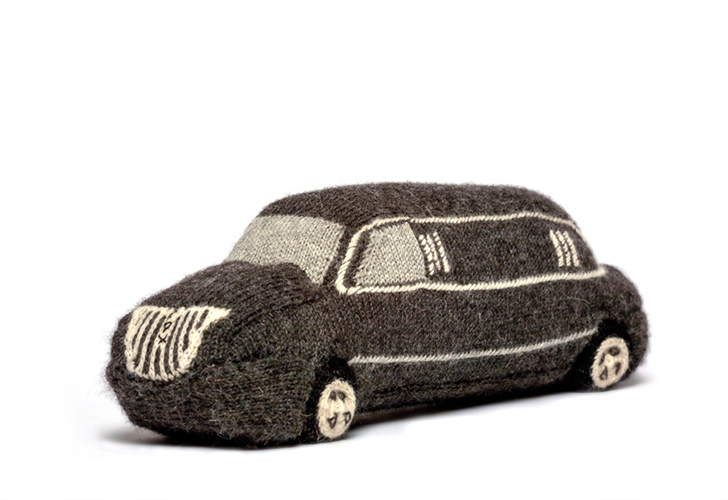 Baby's first limousine is cute and cuddly! Kiddos can play King Kong by grabbing onto this mini-version of the Empire State Building. Where else could you even dream of finding this adorable brownstone pillow? Oeuf's soft toys range in price from $68-$81.